With the indulgence of a tolerant downstairs neighbor, I built this 40’ long installation, piece by piece, in the living room of my one bedroom apartment. The plastic doorway screen chains were a bad idea, especially when people rode bicycles through them. 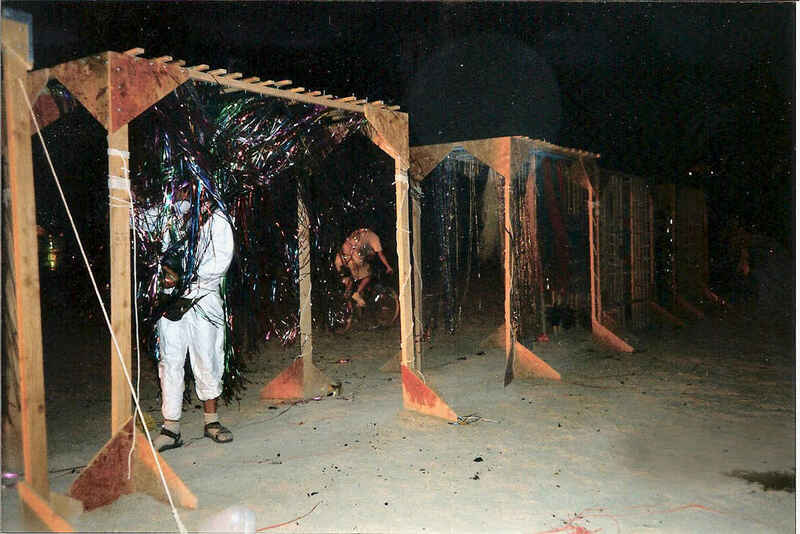 At night, we could hear the structure creaking and rocking from all the visitors passing through it. Each morning, I had to tighten the bolts that had worked loose overnight. 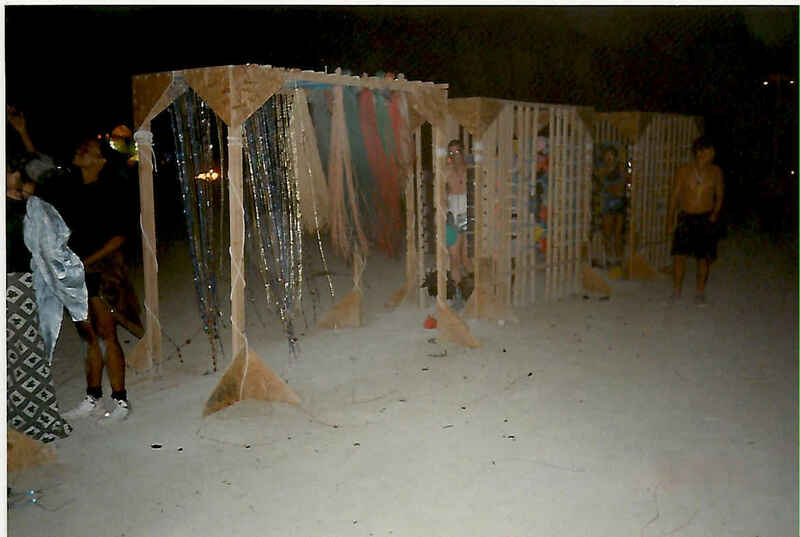 When we took the installation down, there remained a grooved track worn in the playa that marked the numbers of people who had walked through the installation. 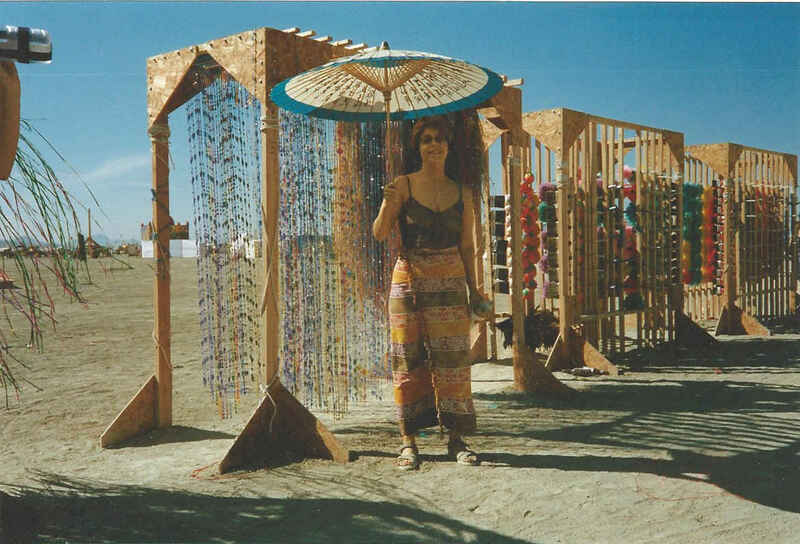 After Burning Man, I installed the piece at a one-day Vegas arts festival and discovered that children responded to it, a possibility that had not previously occurred to me.